Over 200 delicious recipes: appetizers, soups, entrees, vegetables, desserts and more. Developed by the makers of Presto Pressure Cookers. 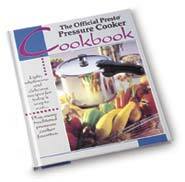 "How to" instructions and pressure cooking tips. Each recipe includes vital nutritional information.